Nick Cheung’s third film as a director and star, The Trough follows Yu Qiu (Cheung), a cop who’s been undercover so long in the gangs of the fictional Solo City, that his mind is starting to slip: he’s developing a death wish, the limit between the Law and Crime has been blurred out, and between two missions he goes to live as a hermit in the Namibian desert, fighting wild animals. Solo City is a degenerate, crime-riddled sewer, and there’s no shortage of mob bosses for him to take down, under the orders of his handler Jim (He Jiong), a lone man of honor assisted by hacker Jackie (Yu Nan) but surrounded by dirty cops (including Maggie Cheung Ho Yee and Chris Collins). 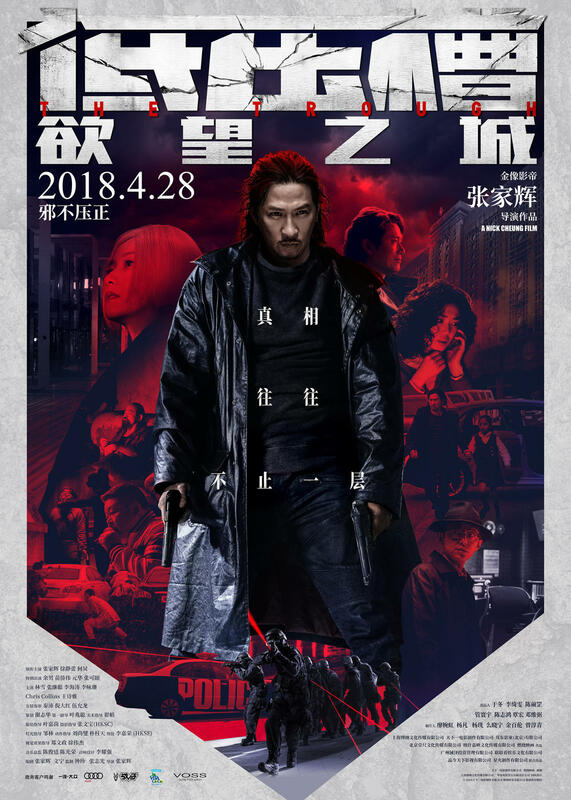 Yu Qiu’s new mission is to unmask and bring down “The Boss”, the hidden mastermind who controls Solo City; and the key to bring him down may be a little girl (Li Yongshan), who was plucked from an orphanage for mysterious reasons, and is now wanted by dirty cops and half the city’s gangsters alike.